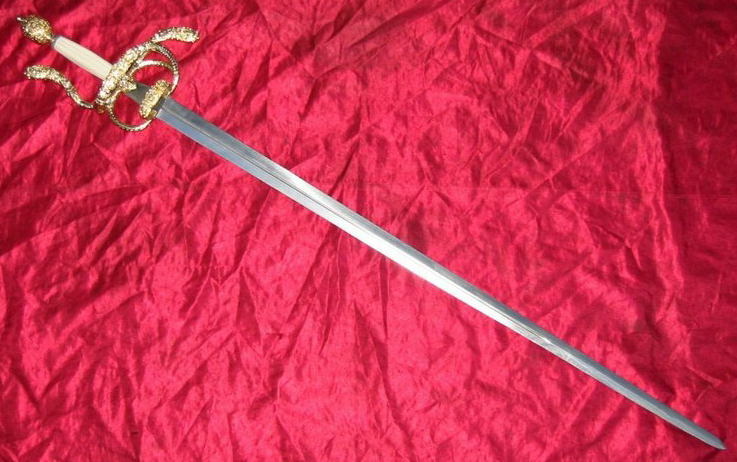 I must say it's nice to finally see a quality/realistic version of one of the swords that started these forums going ... swordforum.com, formerly highlander sword shoppers guide and (perhaps somewhat less relevantly myArmoury.com). I'm talking about the Toledo Salamanca from the first Highlander film from the 1980s. Thanks for pointing that out to us, Peter ! Paul did a wonderful job on that one, and it is indeed nice to see it reproduced by a skilled craftsman ! The "Toledo Salamanca" looks spectacular. Dumb question - was this design taken only from the Highlander movie prop? Or was there any particular historical piece that offered the basis? 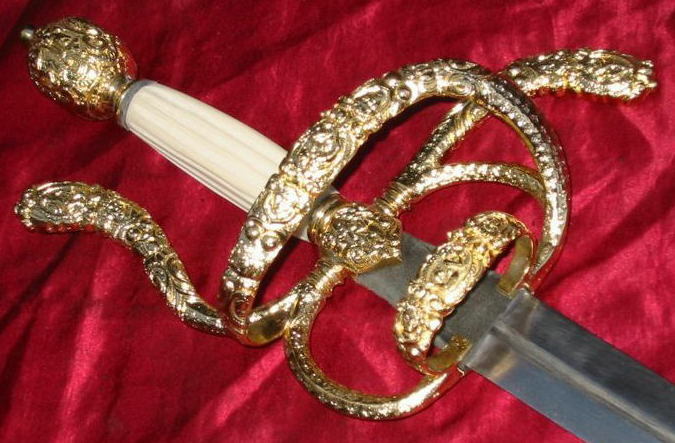 The original piece who inspired this sword i'ts a royal one... In the armoury of the royal palace in Madrid, you can see a very similar weapon, originally of the King Phillip II of Spain. And it's Toledo OR Salamanca, two different cityes....and in Salamanca never living a famous Swordmaker...it's a film's license. Regards and sorry for muy bad english. or is the Spanish for salamander= salamanca?